Back in the days before we all worried ourselves stupid over imagined environmental concerns and before the oil crisis of 1973, Jensen launched the Interceptor. With a 6.3 litre V8 Chrysler engine, the Interceptor was a thirsty beast that would have the greenies these days apoplectic with indignation and it was far from subtle. It was never the prettiest of cars either. At a time when there were a number of very pretty sports tourers around, the Interceptor, although reasonably elegant from some angles, was no supermodel. 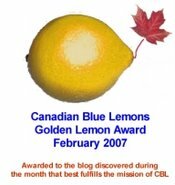 What it was, though, was way ahead of it's time. With the option of four wheel drive, anti-lock brakes and traction control the Interceptor was available with features that would not become mainstream for another 20 years or so. Over the 10 years of it's life Jensen produced just six and a half thousand Interceptors - including a prettier coupe and convertible version - so it was never a common sight on British roads, but it certainly turned heads wherever it was spotted. The car featured in a number of TV series including "Jason King" with Peter Wyngarde and "The Return Of The Saint" with Ian Ogilvy. Ahhhhh Stan. I've been waiting for you to do the Interceptor. Put your foot down and you could almost watch the fuel guage dropping. Put your foot down hard and suddenley and it was like something out of a cartoon film as the car paused for a moment, then the front end lifted and away it went. Almost like doing a wheelie on a big bike. Those were the days. Henry, that is true in town ... but once you get it on the open road, the problem disappears. That's a pretty wicked hot car Stan! I like it. 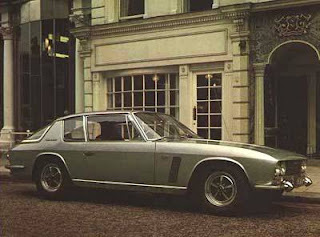 Actually it wasn't Ian Ogilvy as The Saint who drove the Jensen Interceptor. It was Simon Dutton in a series of six made-for-TV Saint movies in the 1980s. Read more about The Saint's Jensen Interceptor at http://www.saint.org/jensen.htm and see a great number of pictures from The Saint! You're quite right, dan. My apologies. Ogilvy drove an XJS. I haven't seen either series in a long long time!